David grew up in England and studied at St Albans’ School, Hertfordshire (also attended, though not at the same time, by Stephen Hawking, and the only ever English pope!) and then studied law at Merton College Oxford, gaining a First Class in Jurisprudence. He then trained at the English Chancery and Commercial Bar, before becoming an insolvency lawyer in a leading London solicitors firm. During this time and thereafter, he was a part-time Lecturer in Land Law at Merton College Oxford. David’s first full-time academic post was at the University of Birmingham, between 1990 and 1996, where he taught and researched in Land Law, Trusts, and Insolvency(co-teaching with the late great Professor Bob Pennington). During this time he also became an insolvency consultant to his former firm, and subsequently, to Lovells (now Hogan Lovells). David was also Vice-President of the University Senior Common Room at Birmingham. 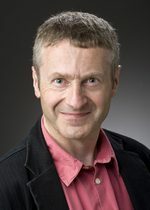 In 1996 he emigrated to New Zealand and became a Senior Lecturer at Victoria University of Wellington, continuing to lecture and teach in Property Law, Trusts, Insolvency, as well as Corporate Governance, and Coordinating the Legal Research and Writing Programme. In 2001-2003 he was Deputy Dean of the Faculty of Law, and during his 14 years at VUW he sat on and chaired several Faculty committees and reviews, and sat on several university committees. He became Overseas Credits Consultant to the New Zealand Council of Legal Education, and an Examiner for the Council, and in 2005 he became the Council’s Policy and Operations Manager. In 2008 he was Honours Coordinator in the Faculty of Law. David was an active contributor to the Wellington INSOL (insolvency practitioners) branch, as well as giving and chairing seminars on topics including corporate insolvency law, conveyancing and solicitor regulation, and charity law, to law firms, a national Law Society ‘roadshow led by a Supreme Court judge, the Institute of Chartered Accountants, and the Higher Judiciary Studies programme. David also served as aNew Zealand Law Society representative on the Joint Insolvency Committee. In 2005 he was the Torys Visiting Fellow at the University of Western Ontario, where he taught Comparative Corporate Rescue. Since 1999 David was a consultant to the NZ Government’s Insolvency law review and an adviser to the New Zealand Law Commission on insolvency law reform. He has co-authored several leading books on New Zealand Land Law and New Zealand Insolvency Law during this time. Heath and Whale on Insolvency were published in December 2008, and the second edition of Bennion, Brown et al on New Zealand Land Law, in October 2009 (now working on the 3rd edition). In 2009 he moved to Adelaide, where he has continued to teach Insolvency Law at Masters level as well as Corporate Law, and introduced a new undergraduate elective in Insolvency Law. He coordinated the Corporate Law course from 2010-2011, and now coordinates the Property Law course. Since his arrival, he has gone on to initiate new undergraduate and postgraduate courses in Secured Transactions (personal property securities) law, the undergraduate course being unique in Australia. In 2015, he initiated and coordinated a new postgraduate law course with the School of Architecture in its Master of Property programme. In 2016, with Professor Christopher Symes, he launched a new Graduate Certificate in Insolvency Law, including the first fully online course in the Law School’s programme. In 2009 he taught Comparative Corporate Insolvency at the University of Mannheim on the joint MCL programme. He has continued to research in the area of insolvency law, and personal property securities law. He as become a leading national expert on the latter, co-authoring the textbook, Australian Personal Property Securities Law, now in its second edition. In 2012 he was invited to teach this subject at the University of Toronto. David is also a consultant to the Commonwealth Government Australian Financial Security Authority, on personal property security law issues, authoring its Small Business Guide on the Personal Property Securities Register. In that capacity he has also presented, in 2015-2017 to a number of World Bank/International Finance Corporation accompanied delegations to Sydney and Adelaide from emerging market countries. Since 2009 he has been a member of the Law Council of Australia’s Insolvency and Restucturing Committee, and an Academic Member of ARITA. In 2014 he was appointed a member of a working expert group of the Law Council Business Law Division on the Statutory Review of the Personal Property Securities Act. In addition, he has participated, with colleagues, in a number of submissions and appearances before Senate Committees. He has undertaken training and seminars for a number of industry associations and government bodies, including Chartered Accountants of Australia and New Zealand (ACAANZ), Turnaround Management Association, ARITA, ASIC, AFSA, and the Law Society of South Australia. David has also advised on a number of matters including successful trial and appellate cases in New Zealand and Australia on commercial law, including charities, insolvency, and secured transactions issues. David is Joint Editor of the Insolvency Law Bulletin, an Editorial Board member of Insolvency Law Journal and the Nottingham e-Journal of Insolvency and Business Law. He is an invited member of International Experts for Insolvency Information network (IEEI), the Academic Committee of the Banking and Financial Services Law Association, and a member of IAN (insolvency academics network). In 2015, David was invited to give the first ever live webinar for the Centre for Commercial Law at the University of Oxford. He has been regularly invited to contribute articles to the Conversation and to comment in media on insolvency law issues. David has held a number of senior management posts in the Adelaide Law School including Acting Dean (2014), Deputy Dean (2012-2014), Associate Dean (Learning and Teaching), 2014 (Semester One), and Director of Postgraduate Studies (2010-2012). David has also been instrumental in establishing the Law School’s venture to deliver the Graduate Diploma of Legal Practice with the Law Society of South Australia, and sat on the Steering Committee from 2013-2017. David currently runs the Law School’s Continuing Professional Development seminar series for the legal profession and wider community. Since 2010, with Associate Professor Chris Symes, David has been Co-Director of Australia’s first and only Bankruptcy and Insolvency Scholarship Unit (BILS)@ Adelaide Law School. In 2015, the Unit broadened its scope to become ROCIT (Regulation of Corporations, Insolvency and Taxation). The Unit has hosted and been involved in a number of seminars and symposia and research projects, including the annual Bankruptcy Trustees’ Forum, and in 2012, held a joint BILS symposium in Vancouver with University of British Columbia. David’s recent projects have involved tax and corporate rescue, the role and duties of officers of the court, and the emergence of blockchain technology in the finance sector. In 2016, he was a founder of the University’s Interdisciplinary Community of Practice on Blockchain. David was recently appointed as a Commonwealth Ministerial appointee to a panel from which Ministerial appointments to Insolvency Practitioner Disciplinary Committees will be drawn, under new law reforms to the insolvency profession effective 1 March 2017.